I would like to add Creo designated parameters to show up the column display in Windchill. I have found where to add the parameters in Manage Global Attributes screen in the Type and Attribute Managment Utility. What else do I need to do? Specify the same name as the Creo Parameter (in all upper case letters) as the Internal Name in order to do implicit mapping. On the Choose Global Attribute screen, select the attribute you created in the Attribute Manager and then set the attribute properties (display name, etc.) on the third step. 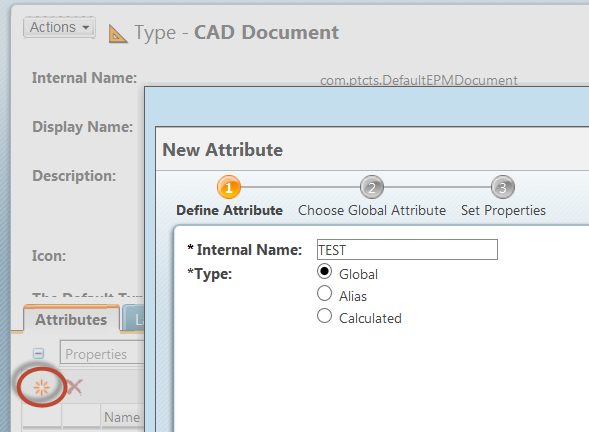 This will get the attribute to appear in the table view manager, and the attribute will map to the Creo parameter the next time the CAD file is checked in. 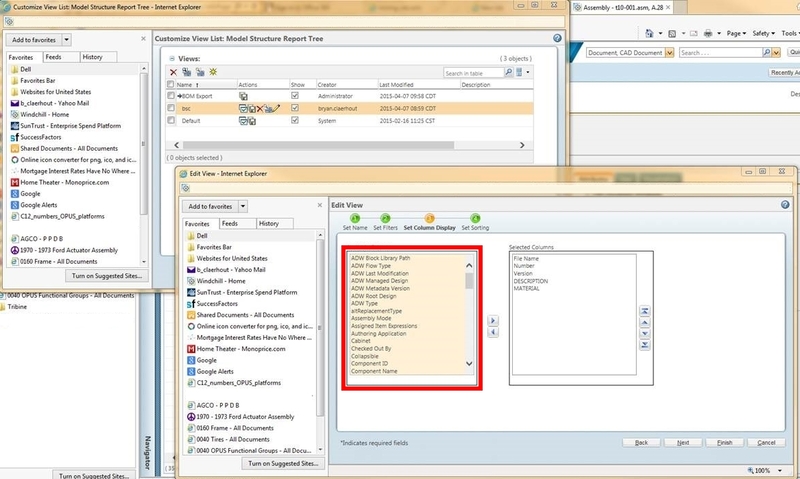 They have to be designated parameters in the Creo model. They are set as designated. I would like to set up a custom view in Windchill, but I cannot choose the parameter in the column display when setting up the view, because they do not show up. Huh. That used to be very easy to do. I remember being able to search for global attribute values as well, but can't see how to do that anymore either. I see our EPMDocs have three parameters showing up on the Information page, but I'd have to guess that's a legacy of previous versions. I don't think legacy has anything to do with it. We have a brand new fresh install from scratch and our installer was able to add parameters during initial install AND after the fact. They (PTC) want to charge me for a day of mentoring (expensive), when it seems to me that it is a 1/2 hour job, IF you know where to set it. Don, thanks for the replies, by the way. Maybe this will help. I'd like to know how to get custom parameters to show up in the red box, below.